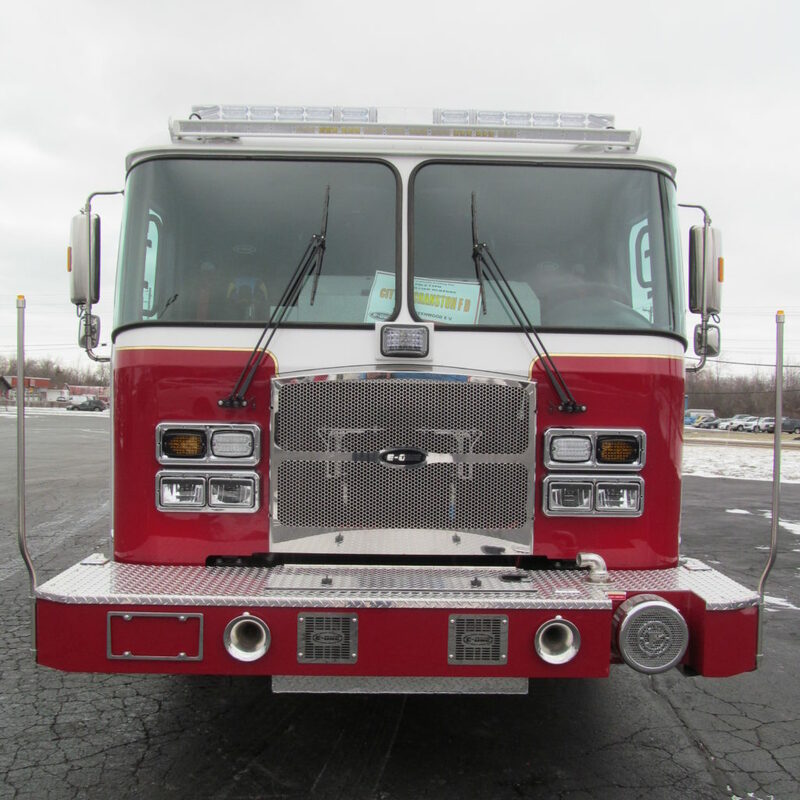 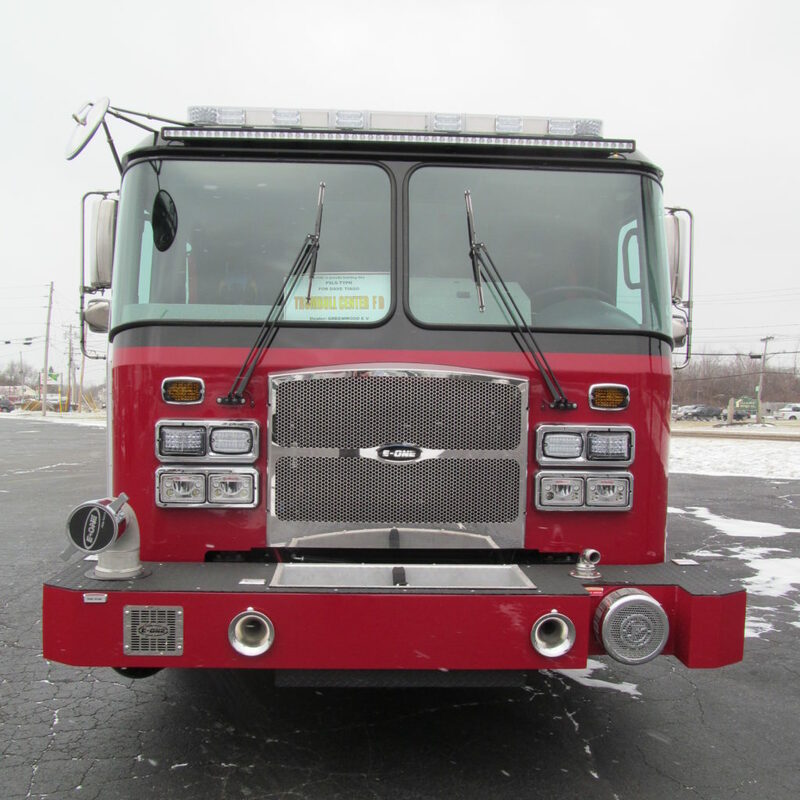 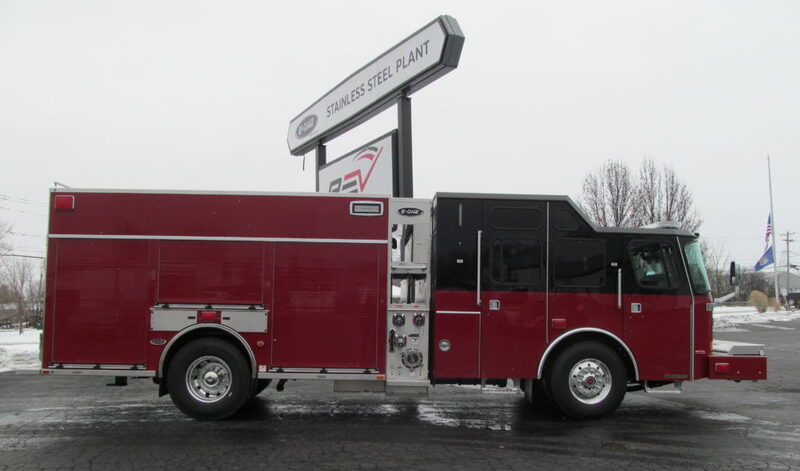 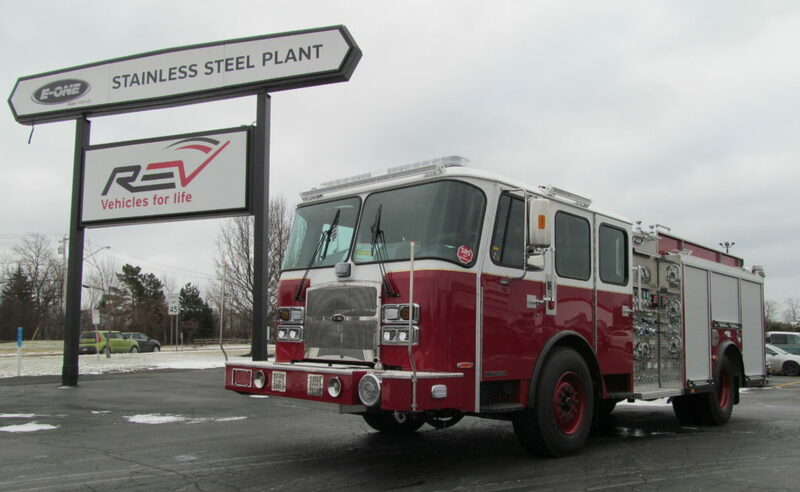 This E-ONE Stainless Steel Top Mount Pumper has a new home with the Miller Hose Fire Company in Newfane, New York. 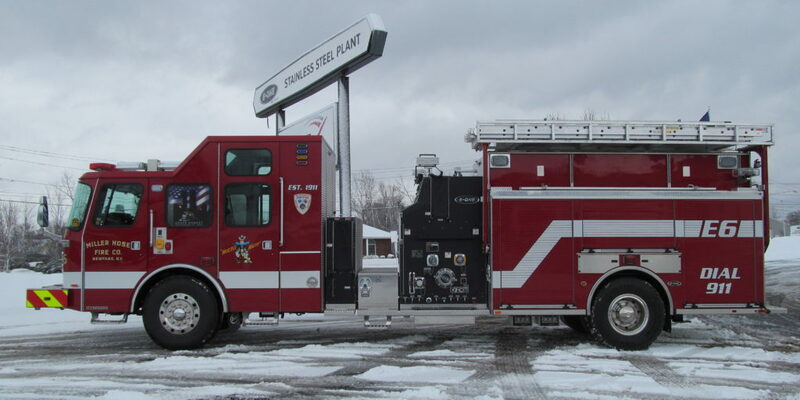 Manufactured in our Hamburg, NY, facility, it’s equipped with a Typhoon X extended cab with 80″ CA and 20″ Vista, Cummins L9 450HP engine, Hale QMAX 1750 GPM single stage water pump, 1280 gal water tank, 30 gal foam tank, and a Smart Power 8KW hydraulic model HR-8 generator. 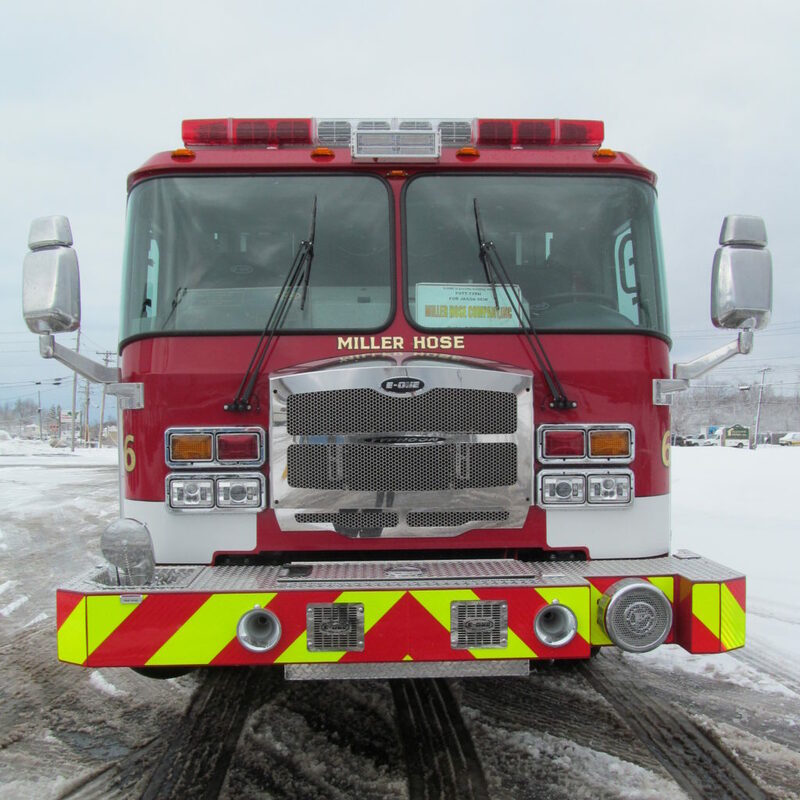 Thank you to the Miller Hose Fire Company for allowing E-ONE to serve you! 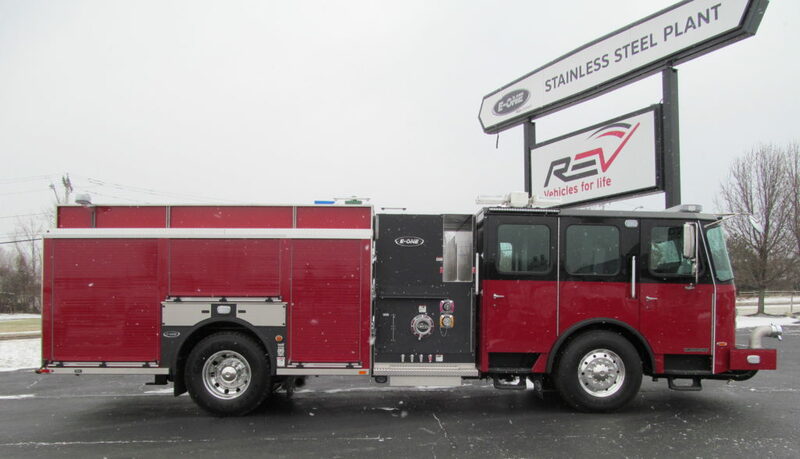 This E-ONE Stainless Steel Side Mount eMAX Rescue Pumper has a new home with the East Grand Forks Fire Department in Minnesota. 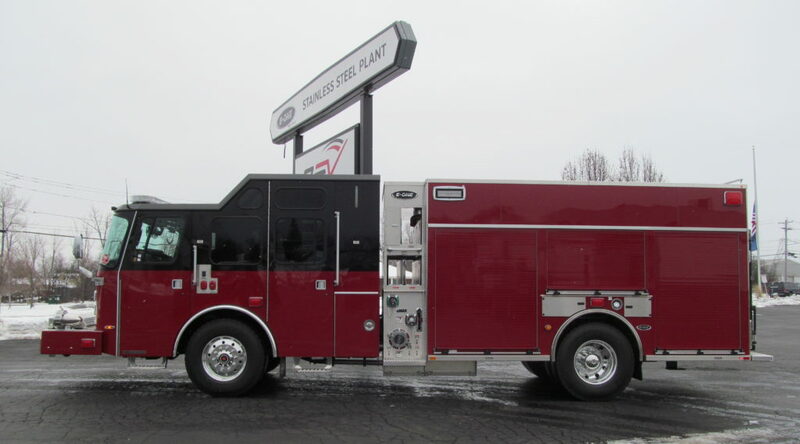 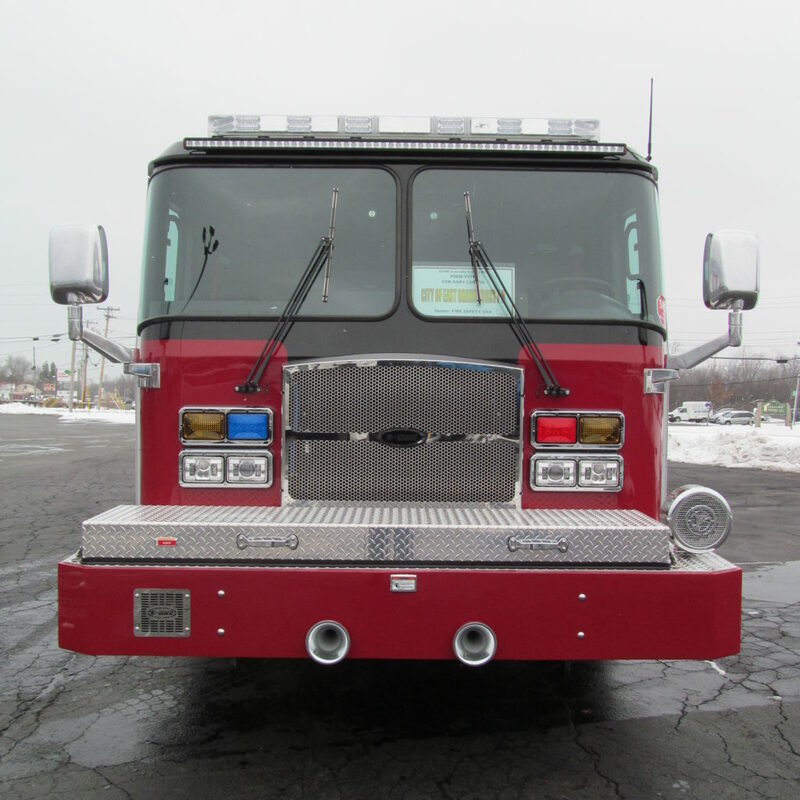 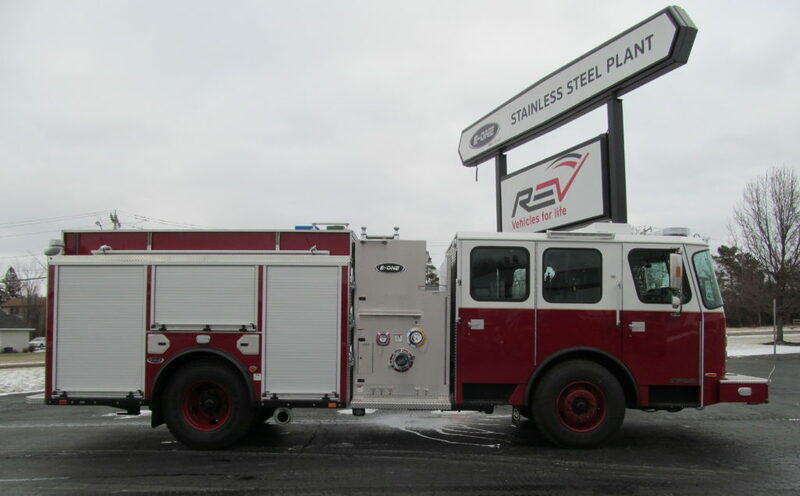 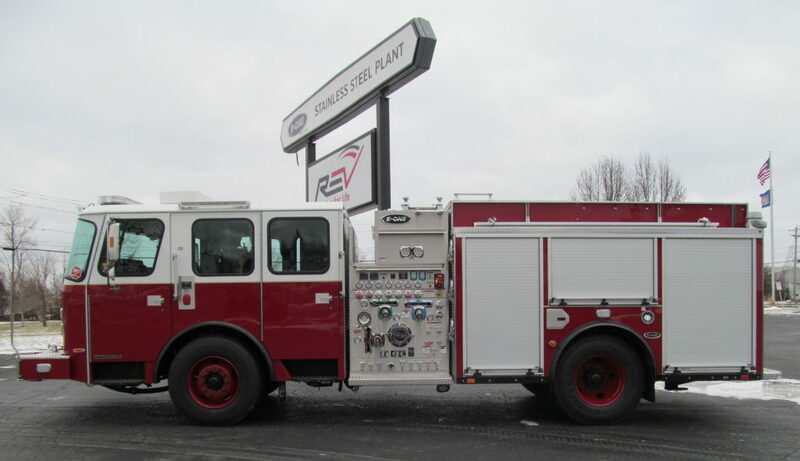 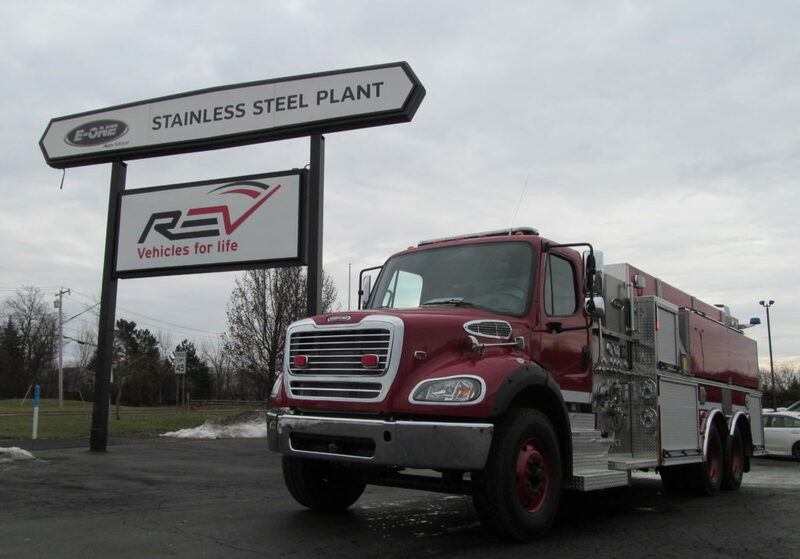 Manufactured in our Hamburg, NY, facility, it’s equipped with a Typhoon X extended cab with 80″ CA and 16″ Vista, Cummins L9 380HP engine, Waterous CXS-C20C 1500 GPM single stage water pump, 780 gal water tank, and a 20 gal foam tank. 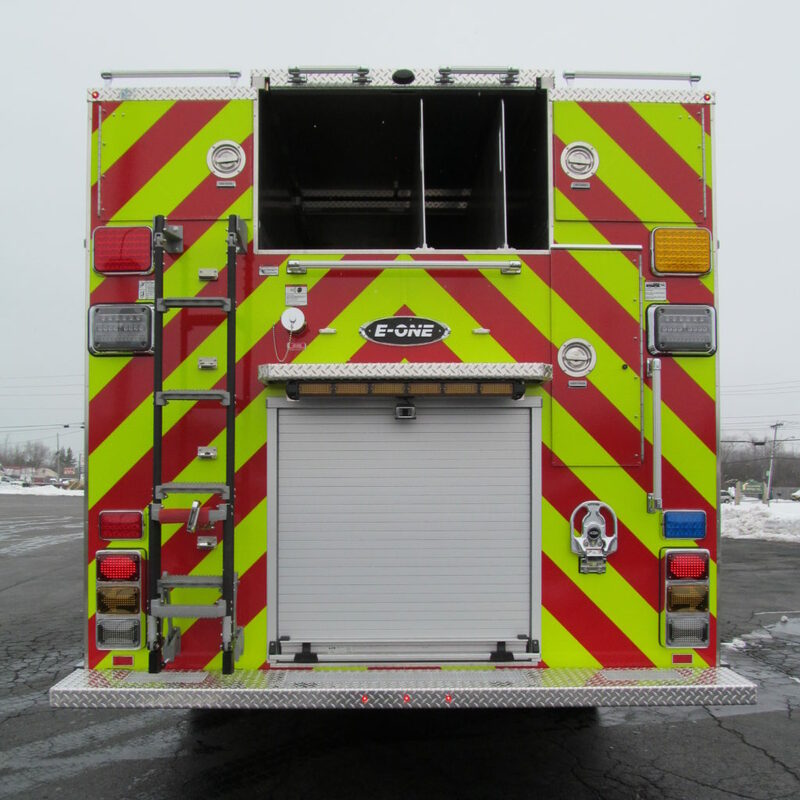 Thank you, East Grand Forks Fire Department, for allowing E-ONE to serve you! 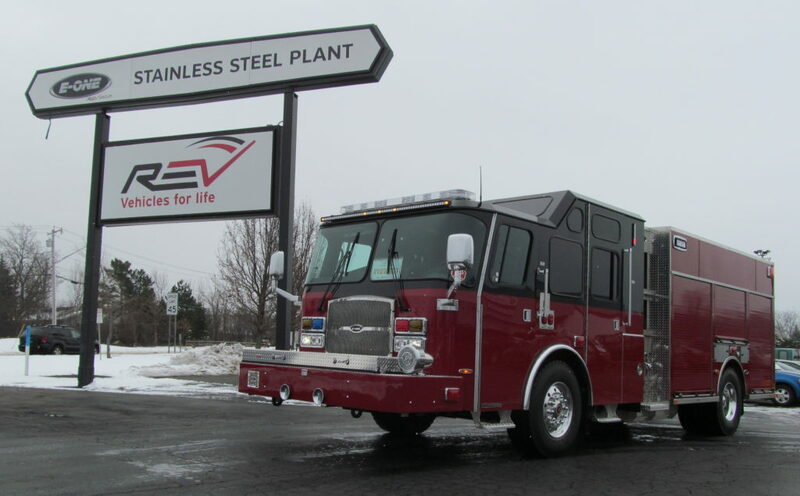 This E-ONE Stainless Steel Wetside Tanker now resides with the Westville Volunteer Fireman Association in Constable, NY. 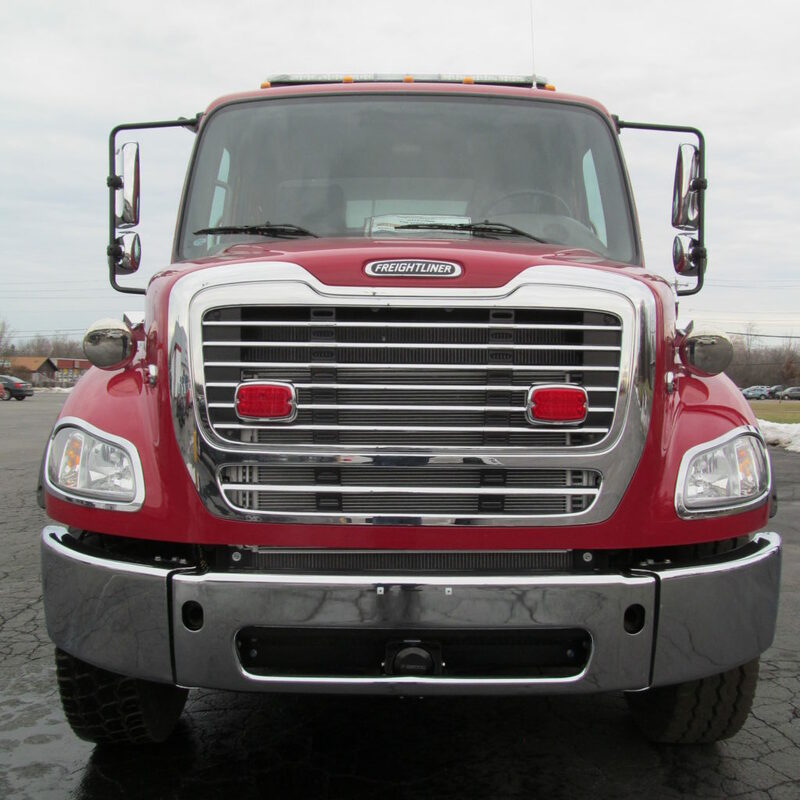 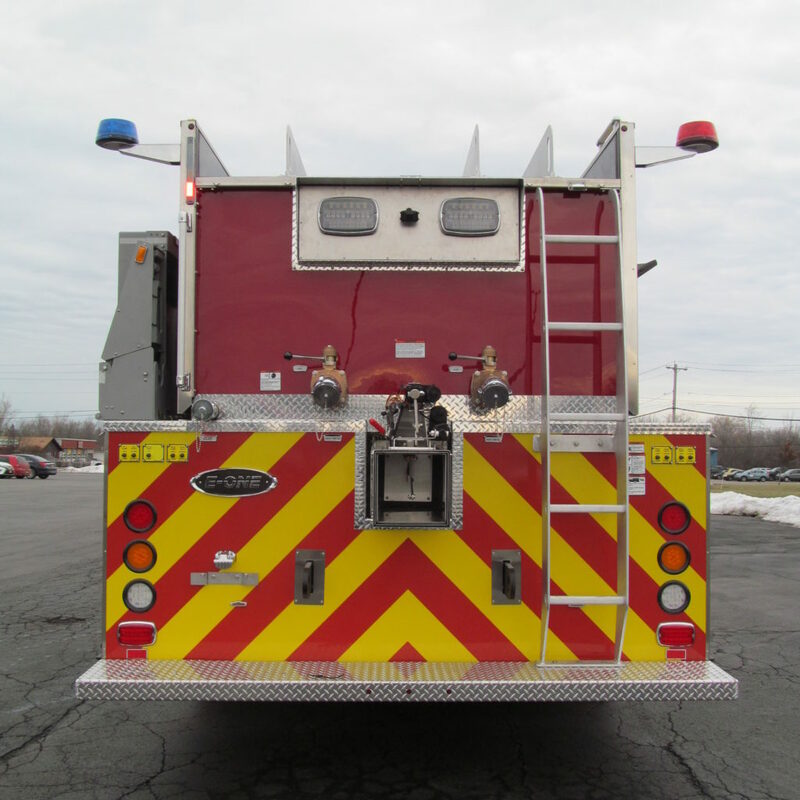 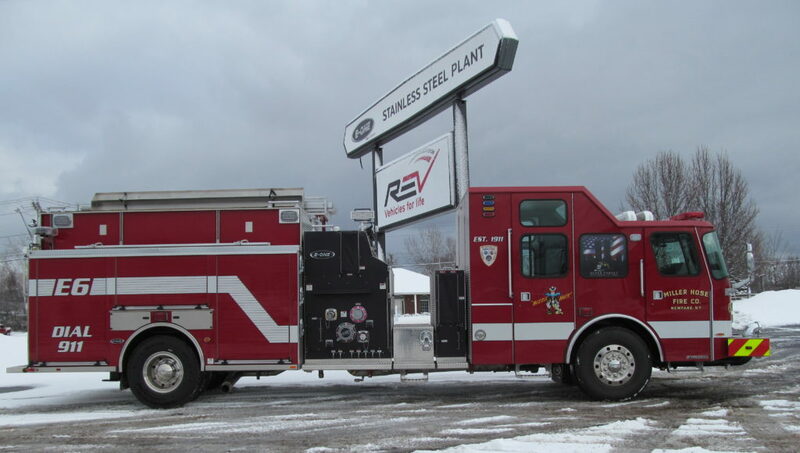 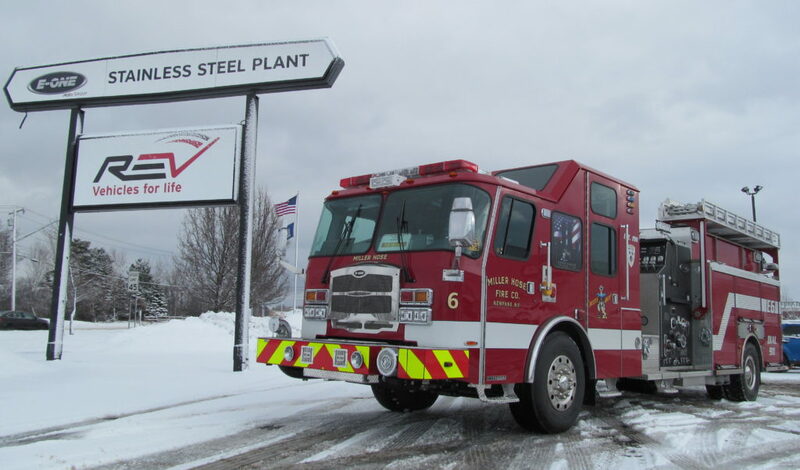 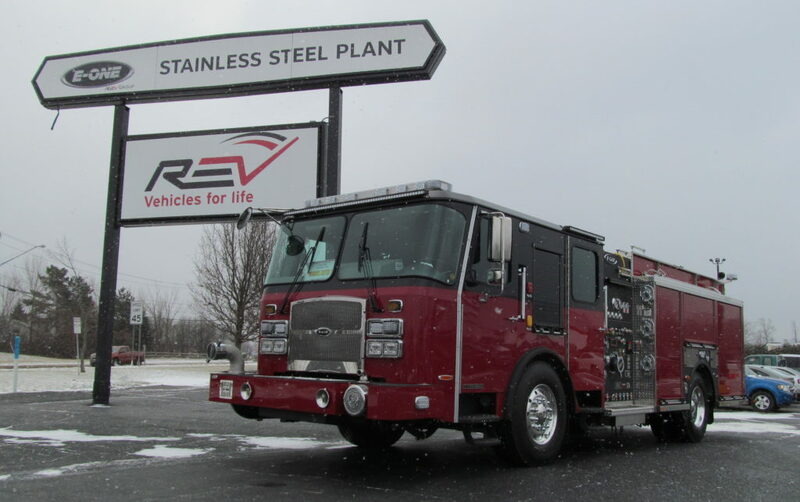 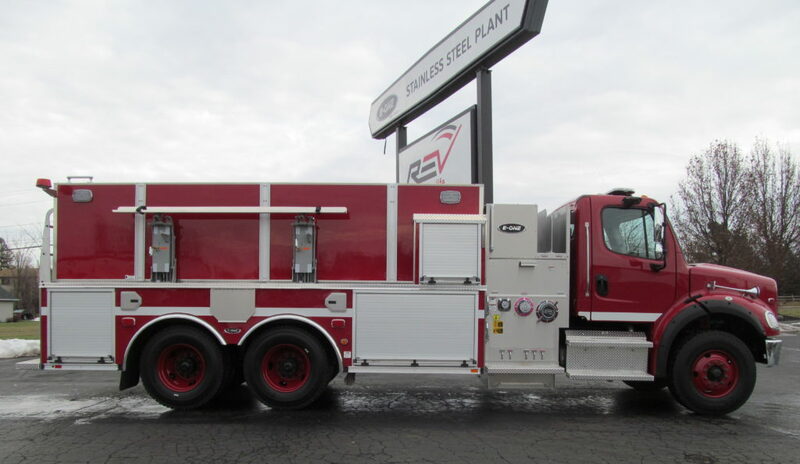 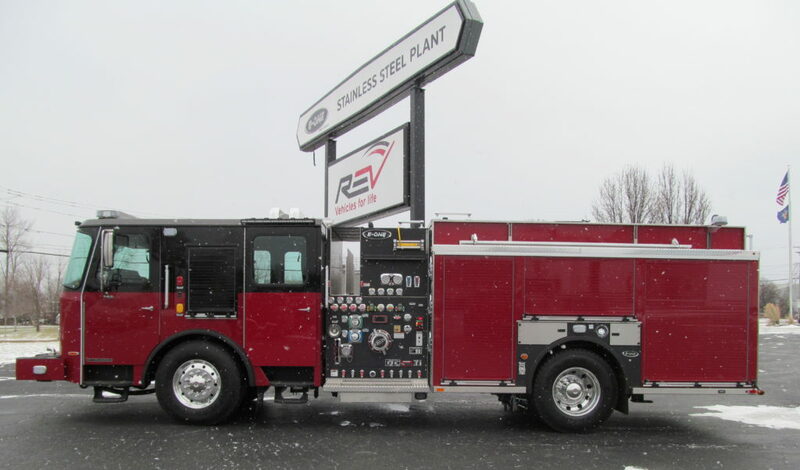 Manufactured in our Hamburg, NY, facility, it’s equipped with a Freightliner 2-door M2 112 6×4 cab, Cummins L9 450HP engine, Hale DSD 1250 GPM single stage pump, and a 3000 gal Wetside water tank. 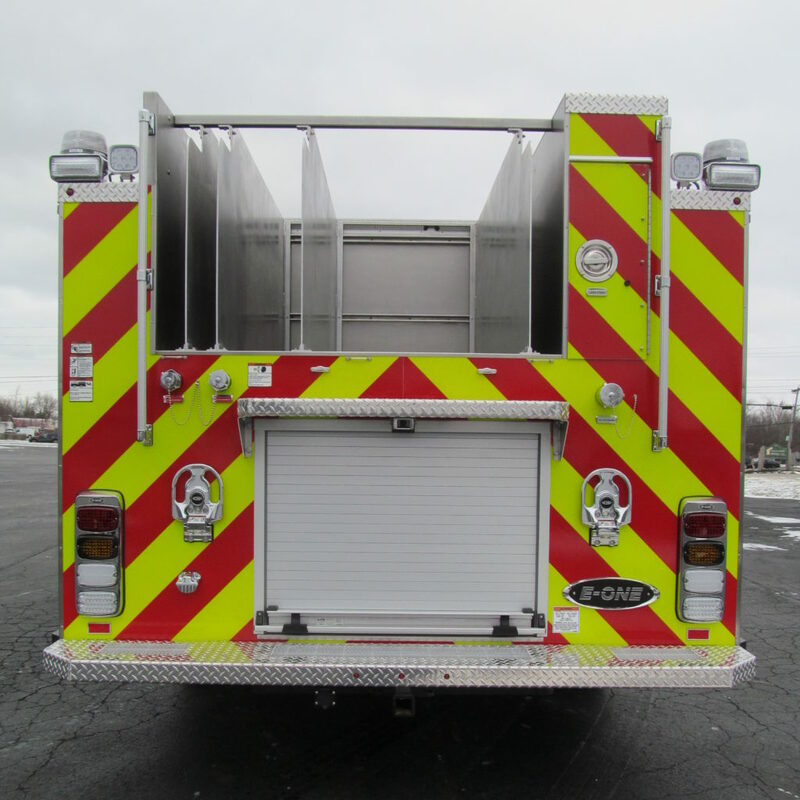 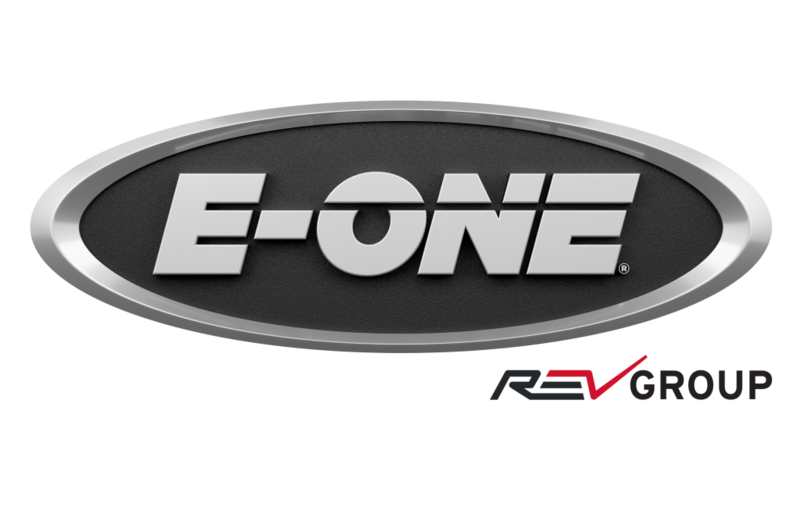 Thank you, Westville Volunteer Fireman Association, for choosing E-ONE! 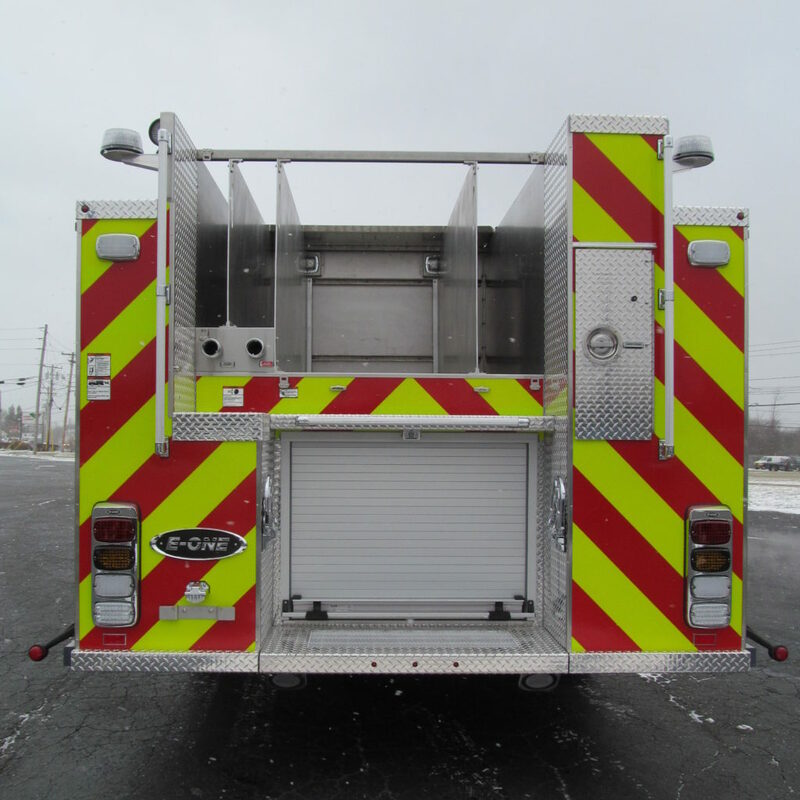 This E-ONE Stainless Steel Side Mount Pumper is making its way to the City of Cranston Fire Department in Rhode Island. 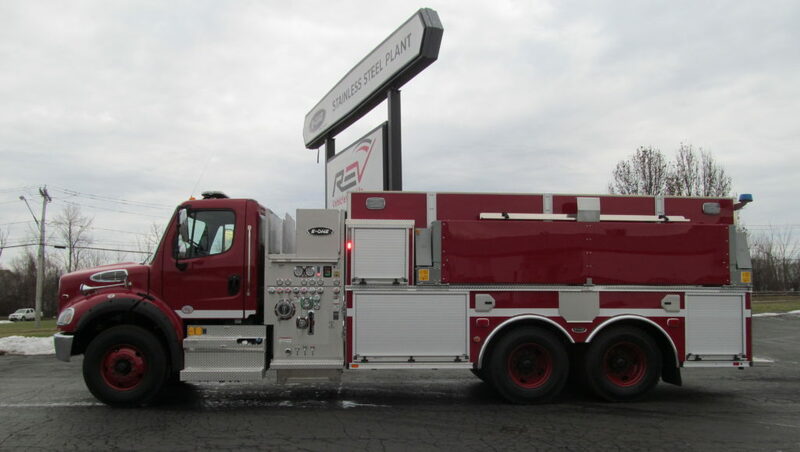 The third of its kind and manufactured in our Hamburg, NY, facility, its equipped with a Typhoon X medium cab with 58″ CA, Cummins L9 400HP engine, Hale QMAX 1500 GPM single stage water pump, 780 gal water tank, and a 30 gal foam tank. 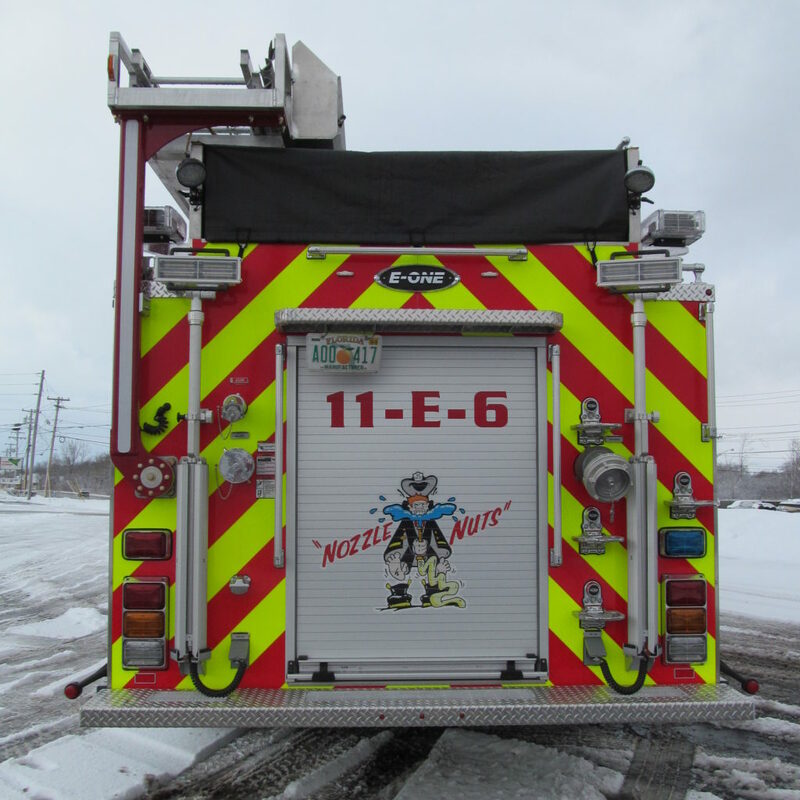 Thank you to the City of Cranston for allowing E-ONE to serve you!